Jack Valentine is an agent with British Intelligence. The agency for which he works at the beginning of the series and for which he has served for more than fifteen years is called the MRU, an apparent acronym for which no breakout is disclosed. The MRU is an ultra-secret agency of a type known as shadowy. Under the concept that no agency could be legally allowed to do the things that the MRU must do, it cannot actually exist and so it doesn't. And the numerous employees of this agency that doesn't exist don't work for it, either. Nevertheless, the non-existent agency is there for the bidding of the Prime Minister, doing what the others like Mi-5, MI-6, and such cannot. Its area of activity is virtually unlimited and it could call upon the other agencies for help but that would not fit with the fiercely independent air that the MRU has. Valentine's cover during the period of his non-employment for MRU is that of a travel reporter, going to exotic locations and writing about the great things to see and do. He actually has not been to many of the locales of which he has written and certainly hasn't written about any of them but the cover has done its job on several occasions. His reputation is fairly established as a good solid investigator who can handle himself anywhere, whether one is talking about Valentine as a reporter or as a spy. 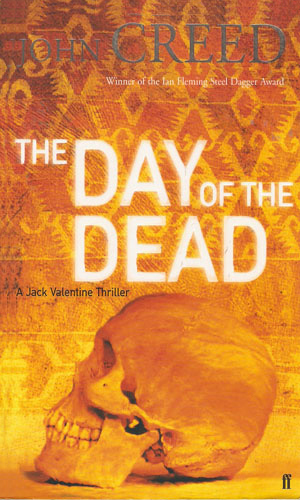 As the series begins, Valentine is growing tired of the action and is considering retiring. He has certainly paid his dues and is owed some peace and quiet, but the action doesn't stop and neither does Valentine. 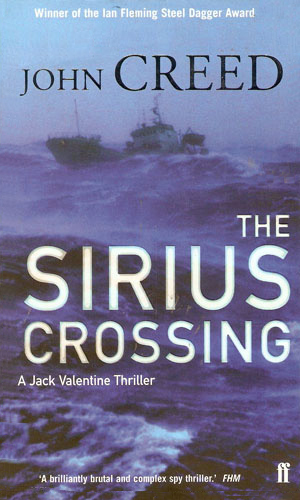 Jack Valentine is given an assignment to find out why American Special Forces had been operating in Ireland during the early to mid 70s. While he wonders why it matters a quarter century later, he does learn the answer lies at the White House and someone doesn't want it known. An old friend asks for Jack Valentine's help to get his daughter free from the grasp of a heroin kingpin in Manhattan. Valentine, now out of the MRU, agrees but finds the girl's connections go a lot deeper, taking him to the desert of Mexico and a plot with more than heroin in mind. The dogtags of a long dead brother of Jack Valentine's elderly neighbor washed up on the Irish coast. The man asked Valentine, now retired, to attend the inquest. Valentine was surprised at the interest the meeting had for others, including several from his former profession. I was pretty well hooked from the first four pages and didn't want to set it down. Or the next two books for that matter. Mr. Creed's easy flowing, intelligent writing is a pleasure to read and his characters are enjoyable, even the bad guys who are truly bad but who are believable and very entertaining. 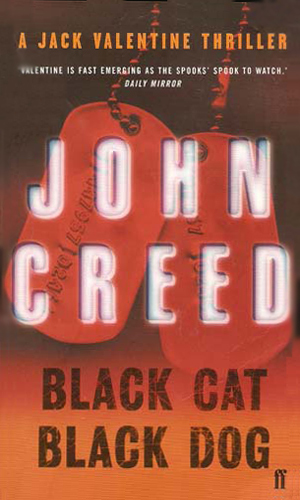 Mr. Creed is an author whose name will now be on my watch list as I want to know when he has done more. I want more. So far several years have passed since the latest book came out but I can still hope and keep watching. Who knows – it may be Valentine Day again. Oh, come on! You know I had to say it.